Location: Located in the city of Inje, an hour and a half bus ride from Seoul. Detailed directions from Seoul are shown below and will be emailed to you upon booking. Price: 35,000 won per person. The reservation deposit is 5,000 won. So you will pay 5,000 won to reserve the activity, and 30,000 won at the rafting location. 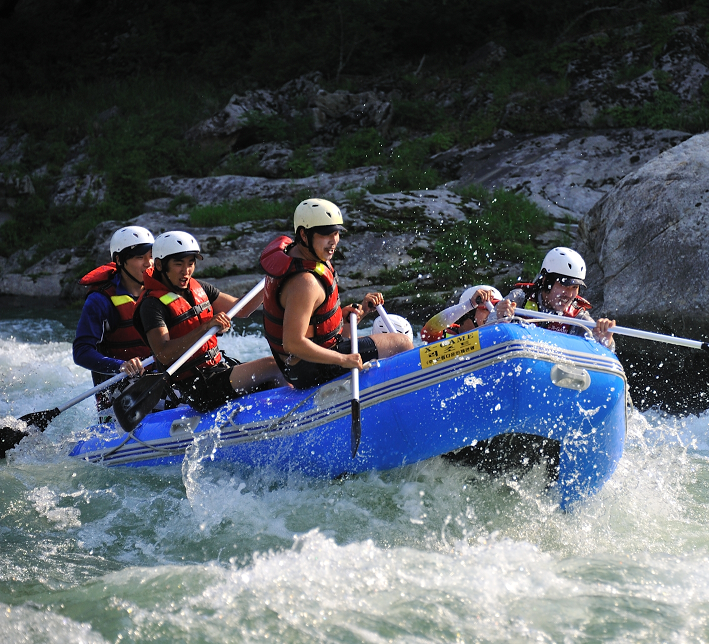 Duration: The rafting course is roughly two and a half hours long. Please dress accordingly, but spare clothes and a towel are provided. Other activities: You can also book rock climbing, ATV riding, paintball, rafting, and the slingshot by clicking the "book now" button. Go to the Subway station called "Gangbyeon". Go out exit 4 and cross the street. You will enter the large building called "Dong Seoul". Walk into this building and buy your ticket to Inje. Once arriving in Inje, take a short taxi ride to "X-Games Resort". The address is listed below. The Bus ride is around 1 hour and 30 minutes. The bus ticket costs 14,500 won. The tickets almost never sell out (except on holidays). The bus leaves roughly every 50 minutes. Last bus back to Seoul is at 7:30.